Our first teaser trailer for “Rio” was released last week to play in front of Shrek Forever After. It’s been quite a production and I can’t wait to see the final film next spring. i have started to try and paint a little more in my iPhone. I am using the app ‘colors’ and a pogo sketch stylus. it’s pretty challenging especially since i’m used to my tablet pc but it’s a fun exercise. 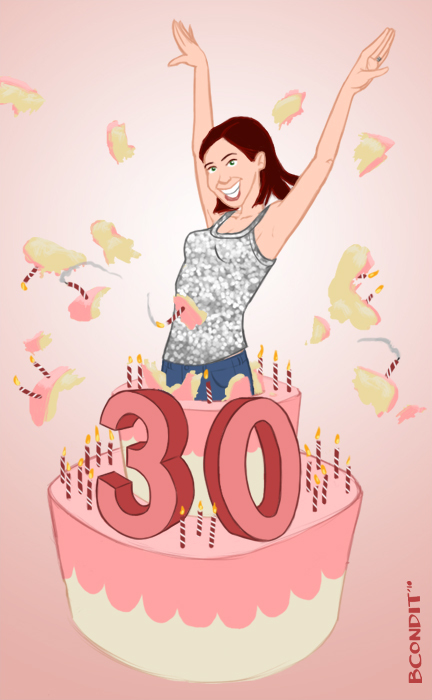 My wife and I celebrated her 30th birthday with a whole week of parties. I made this drawing for her invites.